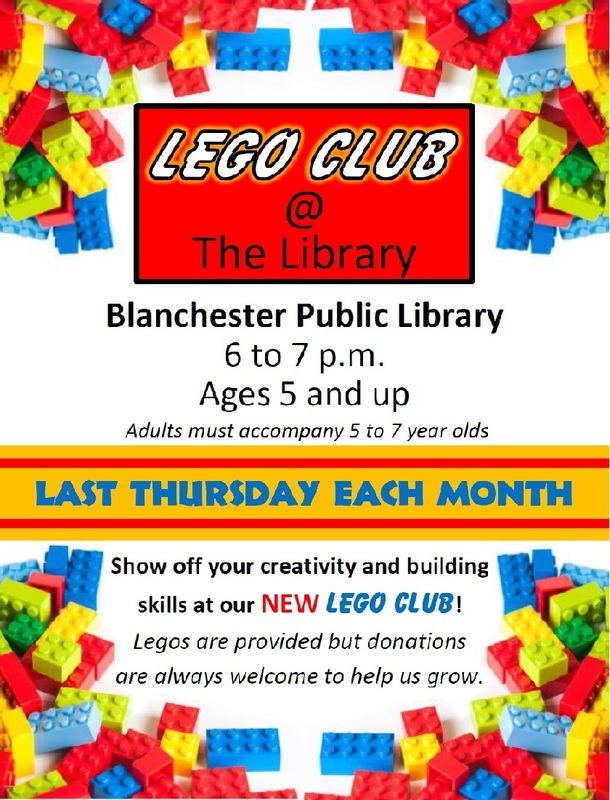 If you want to show off your Lego-building skills or if you just want to have fun building with your friends, the library is the place you want to be from 6-7 p.m. on the last Thursday of each month. The Lego Club meets next April 25 in the meeting room. Youth ages 5 and up are invited, but we do ask parents to accompany children 7 and under. Legos will be provided, although donations are welcome to help our collection grow. Donations may be dropped off any time at the front desk. For more information, contact Youth Services Coordinator Miss Amanda at 937.783.3585.